Perfectly ebony black in colour, these polished cobblestones are highly versatile for decorating. 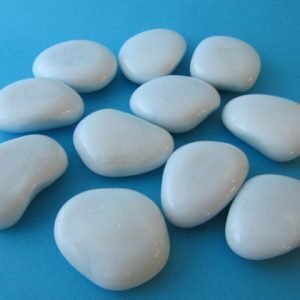 The shade will go with any interior or exterior decor, and these cobbles also blend nicely with similiar sized stones in other colours. 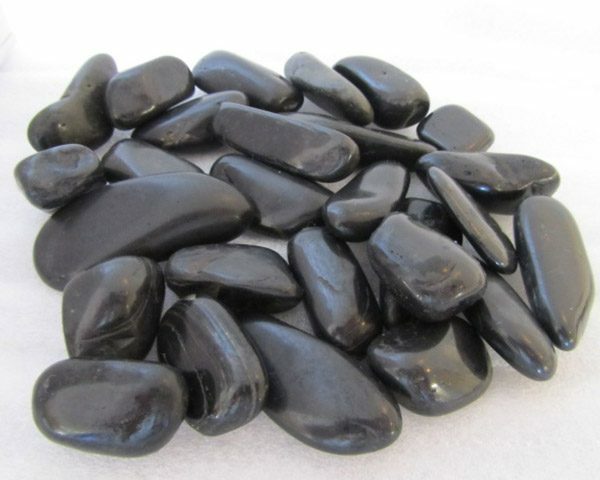 These river pebbles are machine polished and waxed to produce a beautiful ebony black colour. The waxed shine will fade, with weathering, after a period of time. 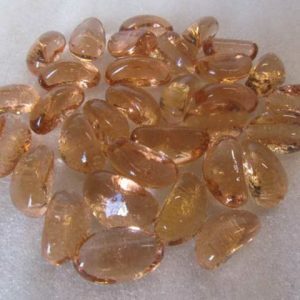 The polished cobbles are available, depending on stocks, in a variety of sizes. Our Black Polished Cobbles are a favourite for a wide variety of projects. 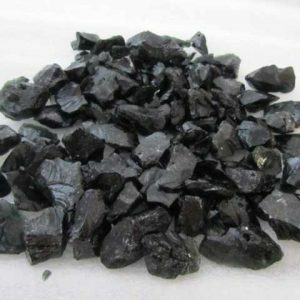 Professional landscapers use these cobbles as edging for planters and driveways, and they are often purchased by florists who love the colour and shine that they add to centrepieces and other floral arrangements. In addition, the stones are frequently used for memorial gardens. 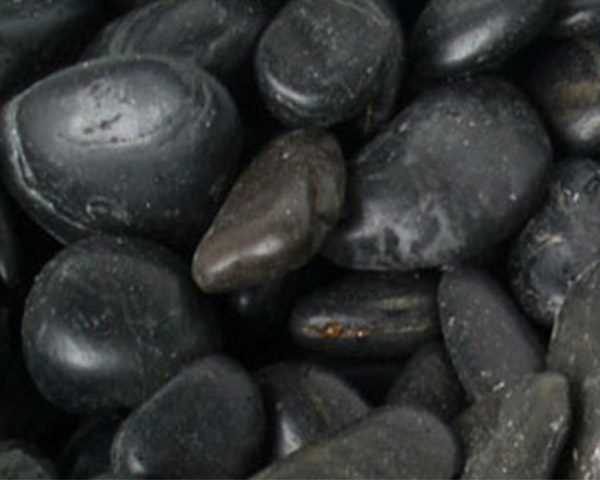 Black Polished Cobbles begin as real river pebbles that are hand selected from riverbeds. 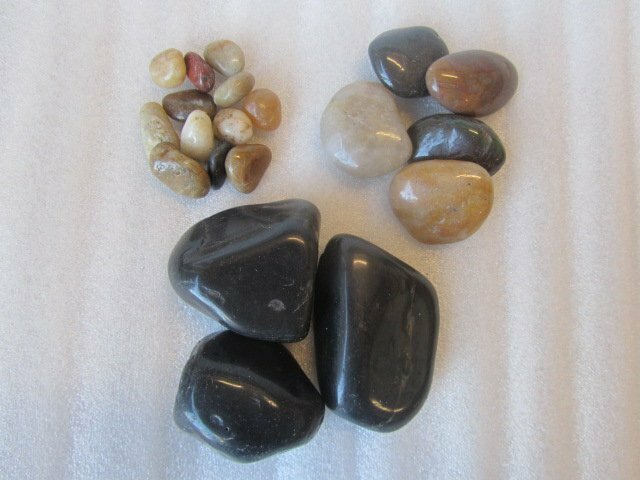 Great care is taken to select rocks that have beautiful colouration and a pleasing base texture. 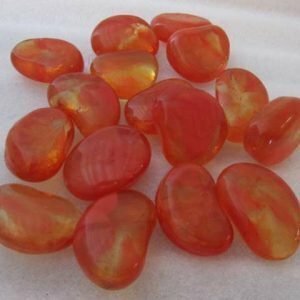 After the stones are gathered, they are put through a 6 to 8-day tumbling process in a special machine that removes all of the rough edges and creates a sleek, smooth finish on every surface of each rock. This gives the stones a rounded shape for that classic cobbled look. 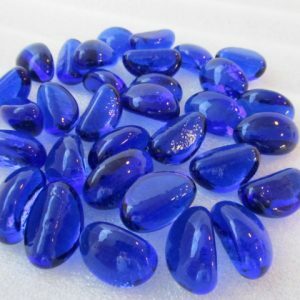 Once the tumbling is complete, each stone must be waxed several times. The wax helps to bring out the natural black colour of the stone and is what gives the cobbles that sleek, eye-catching shine. In order to seal the wax, we heat the cobbles to a very high temperature as the final step in the manufacturing process. Upon cooling, the Black Polished Cobbles are sorted into groups based on their sizes. We offer these decorative cobblestones in a wide range of sizes to work in different projects and provide small and large quantities of the stones to meet every need. You can also use our online chat service during business hours or send us an email for more information.